I always love kicking off a new teaching this series, and this Sunday – the very first Sunday of 2014 – we are beginning a new one. 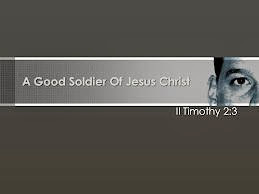 It is entitled A Good Soldier of Jesus Christ and it’s based on the book of 2 Timothy. Paul wrote this letter to pass the torch to a new generation of church leaders. In doing so, he emphasized the importance that believers need to endure hardness, stand strong, and be solidly grounded in Christian service. It’s easy to serve Christ (or attend church) for the wrong reasons: because it’s exciting, rewarding, entertaining, or personally enriching. Yet, without a proper foundation, people find it easy to quit in difficult times. That’s probably why we see so many defections from the faith nowadays – superficial commitment. This is a far cry from the soft wimpy version of Christianity that is so popular today. 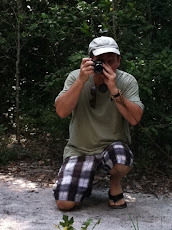 Somewhere along the way we have dumbed-down the definition of what a real believer looks like. Today, a good Christian is not known for being a soldier, but known mostly for meekness, sensitivity, passivity, mild manners, sentimentalism, and being sweet. The Christian life has been reduced down to an invitation to a passive lifestyle. It’s like angle food cake – soft, spongy, and unsatisfying. That’s why we are going through the book of 2 Timothy verse-by-verse, so we can learn what the Bible actually says!